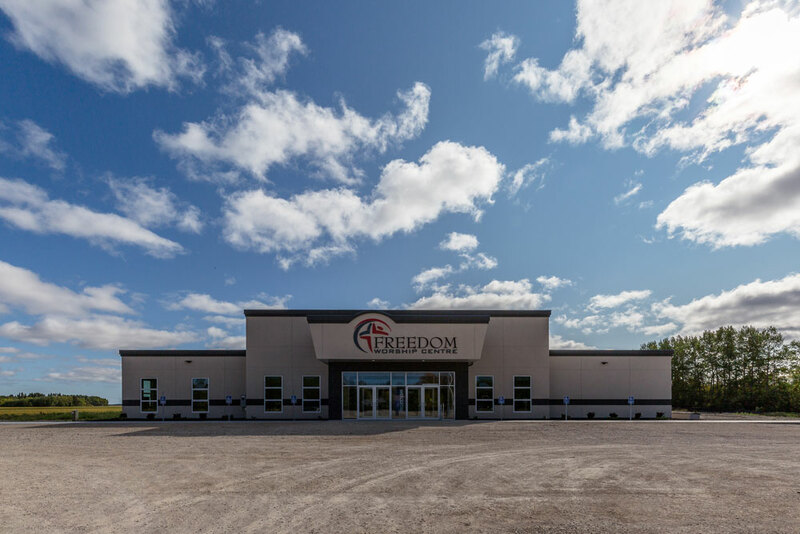 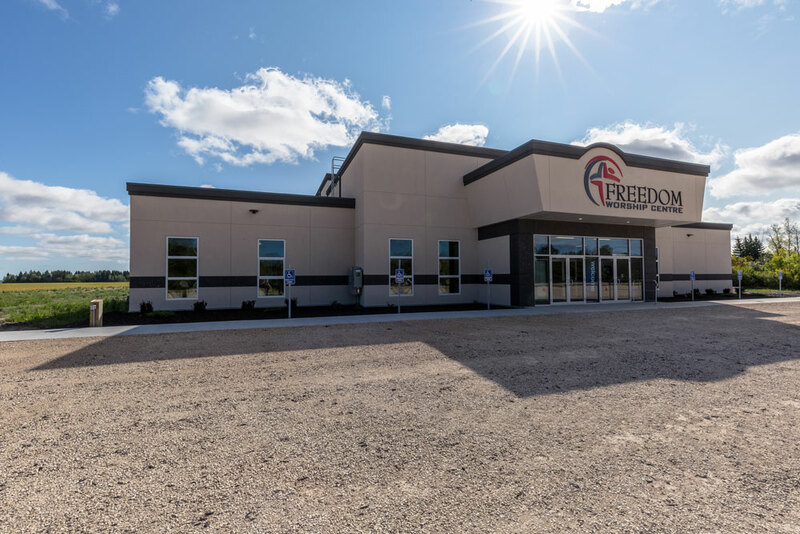 Three Way Builders was hired by Freedom Worship Center to design and build their new church building. 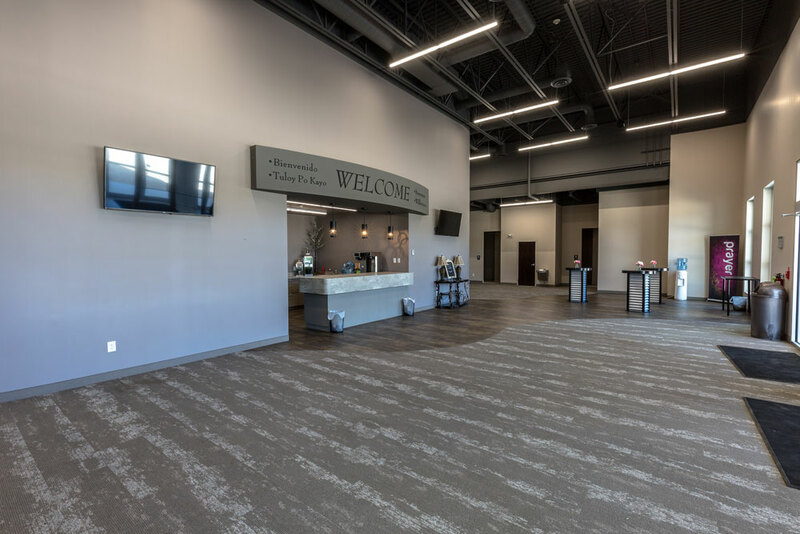 It features high walls with a large foyer, coffee area, office space, and 2 classrooms used for Sunday school. 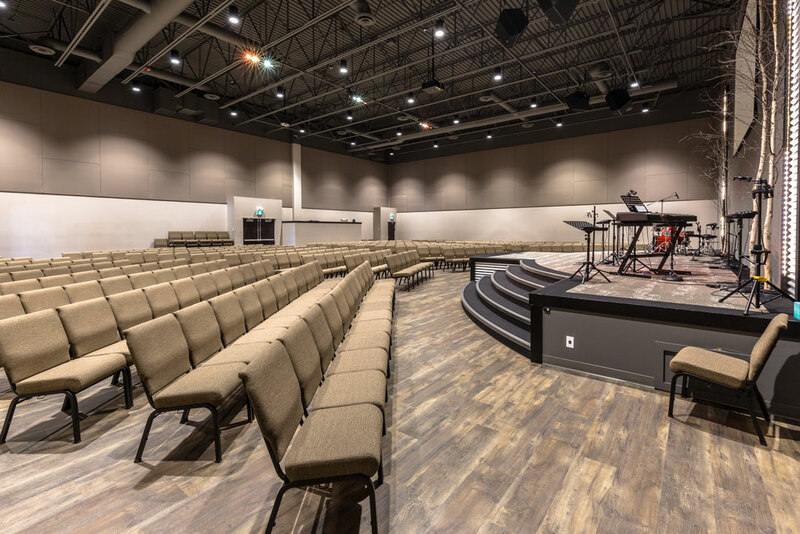 Its sanctuary seats over 350 people, and the building also counts with a parent room with kitchenette. 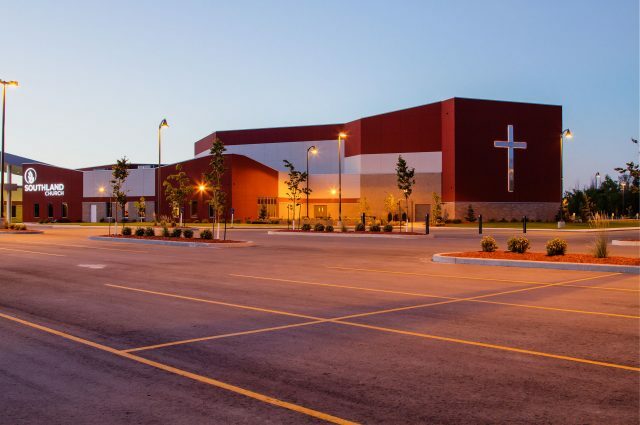 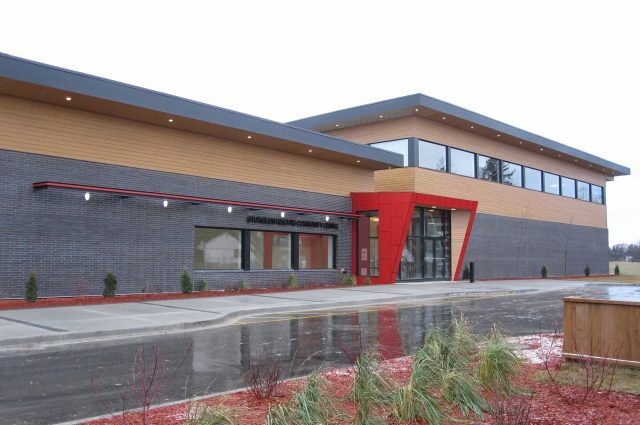 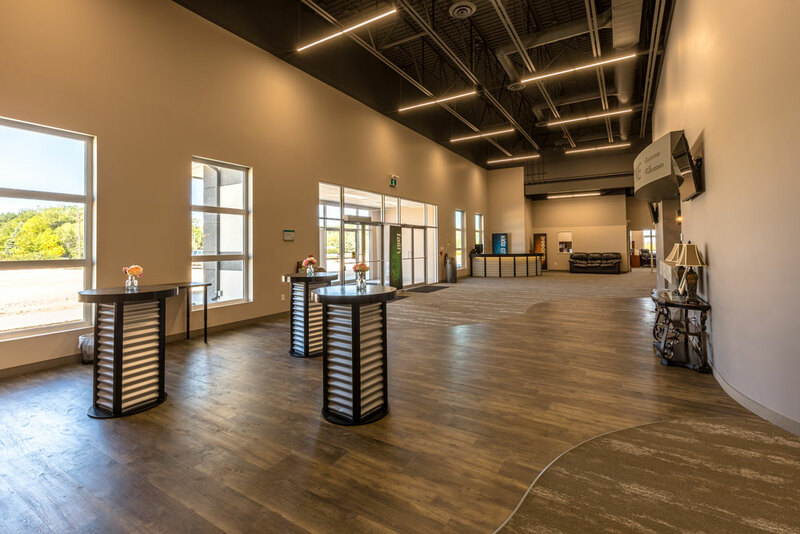 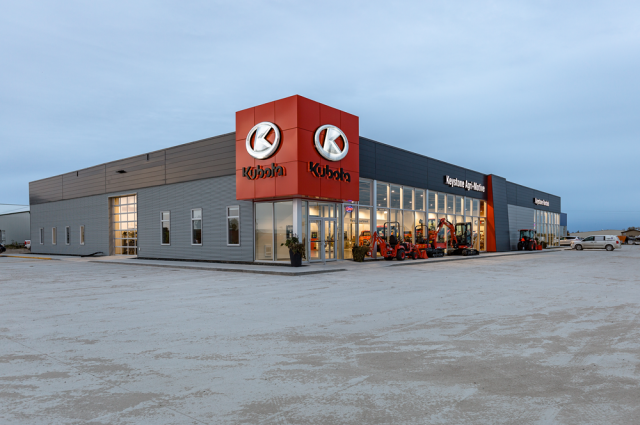 The entrance was specially designed to have a layered look with a 3-level roof and the design leaves room for future expansion, which this growing church will eventually need.